I can't believe this is the last book of my Hope Center Stories! It's been a pleasure bringing these stories to you. They have been extremely personal, drawing on much of my own journey with breast cancer. Page Kosinski has been a three time loser in the cancer game. She's lost not only parts of her body to the horrible disease, but also her marriage and now her chance to have children. But then, she meets a pregnant teenager, Ruby, who changes what her idea of family is. Mateo Lopez is a family lawyer who helps her through the legal maze of becoming a foster mother to Ruby. If only she could keep her thoughts from straying towards Mateo who is determined not to become involved with a woman fighting the same cancer that killed his mother. But then, sometimes what we think we don't want turns out to be exactly what we need. Who is your favorite character in this book? This is always a hard question for me to answer. I love them all, but I think Ruby has a special place in my heart. She is a spunky and independent teenager who has been given difficult choices to make. But those choices are what make her become a beautiful young woman who will have a brighter future. I also gave her my love of musicals. There were a few that were difficult to write (especially through the tears), but they turned out so beautiful and poignant with the deft editorial skills of Kathryn Lye. My favorite scene has to be the last. I actually saw this scene in my mind before I wrote even word one of Page's story. 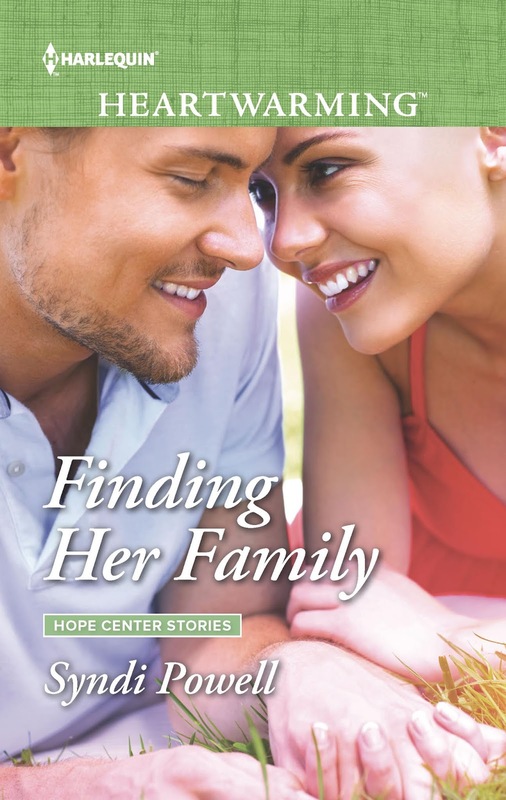 The image of the three women in the Hope Center Stories with their arms around each other's waists as they walk to raise money for breast cancer research, celebrating their journeys and being survivors became the cornerstone of this book and this series. What do you hope readers will take away after reading this series? Being diagnosed with breast cancer is a life changing moment. For me, it brought things to question that I had never considered. What if I died? What would I leave behind as my legacy? What was important and what didn't matter any more? Priorities changed, and dreams sharpened. But I also asked myself, how much do I want to fight and survive? Turns out, I was willing to do whatever I had to, to endure the side effects of treatment because life would be better after. I wasn't going to be a victim of cancer, but a warrior woman who happened to have cancer. My hope is that by reading these stories, readers will take away a couple things: 1. If you have cancer or know someone with cancer, you are not alone. If you've lost loved ones to cancer, you are not alone. There are family and friends as well as a community who will come along side you in the fight. 2. There is hope and a better future for women diagnosed with breast cancer now. You can survive this and live with this. 3. Cancer or not in your life, live a life focused on love. Life is not our careers or our to-do lists. It's about our relationships. And one of the most important relationships we need to nurture is that with ourselves. Take care of your body, mind and spirit. Love yourself because of your imperfections, not despite them. What makes you different also makes you strong. I recently signed a two book contract for a series about house flippers. With the popularity of shows like Fixer Upper and Property Brothers, people are interested in transforming houses into beautiful homes. I'm eager to delve into what transformation looks like in the hero's and heroine's lives as well. I look forward to seeing what these books will bring into my life as well as those of my readers. I'm giving away two copies of this book, so if you'd like me to enter your name please include that in your reply below! Your personal story, your series and your post are inspirational and heartwarming in many many ways, Syndi. Thank you so much for these words today. Congratulations on this new release and on your new books to come! Sorry it's the last one in the series. I'm about to start it. Have just been too busy to read for a few days, but it's time to curl up out of the heat again. So looking forward to the story. I hope you enjoy it, Roz! I love the Scott brothers too! My mom is a huge fan of those tv shows and gave me the idea for the new series. 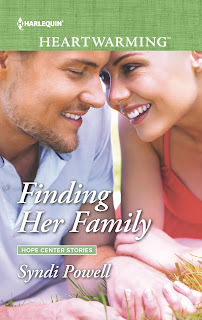 Your Hope Center books are so touching, and I'm looking forward to reading this one, and can't wait for the flipper books. they sound like very good books, thank you for the chance to win one, looking forward to the flipper books. You're a new to me author Syndi. I would love the chance to read your book. Thank you. Thanks for sharing about your story - have a young relative who's fighting cancer and refuses to make it who she is. Callie, I think that's what us cancer fighters struggle with. Cancer is something we have, not something we are. Sending positive thoughts and prayers to your relative! YOU are one brave woman, Syndi! You have been through a great deal and are an inspiration to others. I'm looking forward to your new series. Congratulations. Your book sounds amazing! :) So glad to get to know you a little better on this blog. This book sounds so good. Also very intrigued by the house flipping books. Thank you, Kelly! I don't know why we love these shows, but it's true that we do. I think we like stories of transformation, and those shows take a living space and transform it into a home. Sounds very good, thank you for the review. Patricia Rose and Callie Endicott, you have won the copies of my book. Please send me your address at syndipowell at yahoo.com.